Geleceği planlamada son derece önemli olan öngörü, denizcilik alanında yapılan yatırımların oldukça maliyetli ve geri döndürülemez olmasından dolayı bu alanda ayrı bir öneme sahiptir. Öngörülerin uzun dönemli olması yatırımlarda daha çok önem kazanırken kısa dönemli olması operasyonlarda ve liman kaynaklarının dağıtımında önem arz etmektedir. Bu çalışmada amaç 2018’in son üç ayını ve 2019 yılını kapsayan zaman dilimi için Türkiye’deki ithalat ve ihracat konteynerlerin toplamına yönelik aylık öngörü yaparak liman yöneticilerine liman operasyonlarında karar alma noktasında katkı sağlamaktır. Aylık öngörüler ile kendi paylarını hesaplayan kullanıcıların, bu hesaplamalar sayesinde liman operasyonlarını yönetmelerinin de kolaylaşabileceği düşünülmektedir.Çalışmada amaç doğrultusunda kısa dönemli öngörülerde diğer yöntemlere göre çok daha iyi olan Box – Jenkins yöntemi seçilmiştir. Sonuç olarak kısa dönemli Türkiye’deki ithalat ve ihracat konteynerlerin toplamına yönelik öngörü yapılmış ve Akaike ve Schwarz bilgi kriterlerinin model seçiminde her zaman sağlıklı sonuçlar vermediği ortaya koyulmuştur. Ayrıca Çalışmada deterministik trend ve mevsimsellik değişkenlerinin modele direkt dahil edilmiş ve öngörülerde bu değişkenlerin etkileri direkt olarak yansıtılmıştır. Since investments in maritime sector are very costly and irreversible; forecasting, critical in planning the future, has a particular importance in this field. As long-term forecasting is more important in investments, short term forecasting is more important in operations and distribution of port resources. The purpose of this study is to forecast monthly the sum of Turkey’s import and export container, for the period from the ninth month of 2018 to the last month of 2019, and also to contribute to the decision-making of port managers in port operations. It is thought that it will be also easier for the users to calculate their shares with monthly projections and manage the port operations through these calculations. In accordance with purpose, in this study, Box - Jenkins method, which is much better than other methods in short term forecasting, has been selected. As a result, short-term the sum of Turkey’s import and export container is forecasted monthly and it has been shown that the Akaike and Schwarz information criteria do not always provide healthy results in the choice of model. In addition, deterministic trend and seasonality variables were included directly in the study and the effects of these variables were directly reflected in the model. 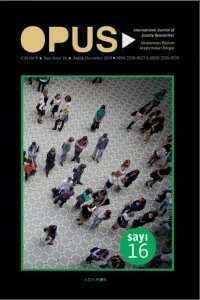 Akar, O., ve Esmer, S. (2015). Türkiye’deki konteyner terminalleri için yük talep analizi. Journal of ETA Maritime Science, 3(2), 117-122. Amoako, J. (2002). Forecasting Australia’s international container trade. In 25th Australian Transport Research Forum, Canberra October 2002. Carnot, N., Koen V. ve Tissot, B. (2005). Economic Forecasting. New York: Palgrave Macmillan. Chen, S. H., ve Chen, J. N. (2010). Forecasting container throughputs at ports using genetic programming. Expert Systems with Applica-tions, 37(3), 2054-2058. Chen, Z., Chen, Y., ve Li, T. (2016). Port cargo throughput forecasting based on combination model. In Joint International Information Technology, Mechanical and Electronic Engineering Conference (JIMEC 2016) (pp. 148-154). Chou, C. C., Chu, C. W., ve Liang, G. S. (2008). A modified regression model for forecasting the volumes of Taiwan’s import containers. Mathematical and Computer Modelling, 47(9-10), 797-807. Dragan, D., Kramberger, T., ve Intihar, M. (2014). A comparison of Methods for Forecasting the Container Throughput in North Adriatic Ports. In Conference IAME. Enders, W. (2015). Applied econometric times series. John Wiley & Sons Inc, New York., 517. Evans M. K. (2003). Practical business forecasting. Oxford: Blackwell Publishing. Farhan, J., ve Ong, G. P. (2018). Forecasting seasonal container throughput at international ports using SARIMA models. Maritime Economics & Logistics, 20(1), 131-148. Gooijer de, J. G., ve Klein, A. (1989). Forecasting the Antwerp maritime steel traffic flow: A case study. Journal of Forecasting, 8(4), 381–398. Gosasang, V., Chandraprakaikul, W., ve Kiattisin, S. (2011). A comparison of traditional and neural networks forecasting techniques for container throughput at Bangkok port. The Asian Journal of Shipping and Logistics, 27(3), 463-482. Gujarati, D. N. (2004). Basic econometrics. United States Military Academy, West Point: The Mc-Graw Hill. Gujarati, D. (2011). Econometrics by example. Hampshire, UK: Palgrave Macmillan. Guo, Z., Song, X., ve Ye, J. (2005). A Verhulst model on time series error corrected for port throughput forecasting. Journal of the Eastern Asia society for Transportation studies, 6, 881-891. Heij, C., de Boer, P., Franses, P. H., Kloek, T., ve van Dijk, H. K. (2004). Econometric methods with applications in business and economics. Oxford University Press. Huang, A., Lai, K., Li, Y., ve Wang, S. (2015). Forecasting container throughput of Qingdao port with a hybrid model. Journal of Sys-tems Science and Complexity, 28(1), 105-121. Intihar, M., Kramberger, T., ve Dragan, D. (2017). Container Throughput Forecasting Using Dynamic Factor Analysis and ARIMAX Model. Promet-Traffic&Transportation, 29(5), 529-542. Klein, A., ve Verbeke, A. (1987). The design of an optimal short term forecasting system for sea port management: an application to the port of Antwerp. International Journal of Transport Economics/Rivista internazionale di economia dei trasporti,14(1), 57-70. Klein, A. (1996). Forecasting the Antwerp maritime traffic flows using transformations and intervention models. Journal of Forecasting, 15(5), 395-412. Li, J., Chen, Y., ve Cui, X. (2008, April). Port Throughput Forecast Based on Nonlinear Combination Method. In WSEAS International Conference. Proceedings. Mathematics and Computers in Science and Engineering (No. 7). World Scientific and Engineering Academy and Society. Lütkepohl, H., ve Krätzig, M. (Eds.). (2004). Applied time series econometrics. Cambridge University Press. Mak, K. L., ve Yang, D. H. (2007). Forecasting Hong Kong's container throughput with approximate least squares support vector machines. In World Congress on Engineering (pp. 7-12). Min, K. C., ve Ha, H. K. (2014). Forecasting the Koreas port container volumes with SARIMA model. Journal of Korean Society of Transportation, 32(6), 600-614. Mo, L., Xie, L., Jiang, X., Teng, G., Xu, L., ve Xiao, J. (2018). GMDH-based hybrid model for container throughput forecasting: Selective combination forecasting in nonlinear subseries. Applied Soft Computing, 62, 478-490. Mohamed Ismael, H., ve Vandyck, G. K. (2016). Forecasting container throughput at the doraleh port in djibouti through time series analysis. In Proceedings of the 2015 International Conference on Applied Mechanics, Mechatronics and Intelligent Systems (AM-MIS2015) (pp. 341-350). Pang, G., ve Gebka, B. (2017). Forecasting container throughput using aggregate or terminal-specific data? The case of Tanjung Priok Port, Indonesia. International Journal of Production Research, 55(9), 2454-2469. Pankratz, A. (2012). Forecasting with dynamic regression models (Vol. 935). John Wiley & Sons. Patil, G. R., ve Sahu, P. K. (2016). Estimation of freight demand at Mumbai Port using regression and time series models. KSCE Journal of Civil Engineering, 20(5), 2022-2032. Peng, W. Y., ve Chu, C. W. (2009). A comparison of univariate methods for forecasting container throughput volumes. Mathematical and Computer Modelling, 50(7-8), 1045-1057. Rashed, Y., Meersman, H., Van de Voorde, E., ve Vanelslander, T. (2017). Short-term forecast of container throughout: An ARIMA-intervention model for the port of Antwerp. Maritime Economics & Logistics, 19(4), 749-764. Schulze, P. M., ve Prinz, A. (2009). Forecasting container transshipment in Germany. Applied Economics, 41(22), 2809-2815. Shu, M. H., Nguyen, T. L., HSU, B., Lu, C., ve Huang, J. C. (2014). Forecasting Cargo Throughput with Modified Seasonal ARIMA Models. WSEAS Transactions on Mathematics, 13, 171-181. Sengönül, G., ve Esmer, S. (2016). Container transportation at the black sea: An evaluation of the ports in Turkey. Karadeniz Araştırmaları, 49, 131-140. Syafi’i, S. (2006). Multivariate autoregressive model for forecasting the demand of container throughput in Indonesia. Media Teknik Sipil, 6(2), 129-136. Tian, X., Liu, L., Lai, K. K., ve Wang, S. (2013). Analysis and forecasting of port logistics using TEI@ I methodology. Transportation Planning and Technology, 36(8), 685-702. Xie, G., Wang, S., Zhao, Y., ve Lai, K. K. (2013). Hybrid approaches based on LSSVR model for container throughput forecasting: a comparative study. Applied Soft Computing, 13(5), 2232-2241. Xie, G., Zhang, N., ve Wang, S. (2017). Data characteristic analysis and model selection for container throughput forecasting within a decomposition-ensemble methodology. Transportation Research Part E: Logistics and Transportation Review, 108, 160-178. Xiao, Y., Wang, S., Xiao, M., Xiao, J., ve Hu, Y. (2017). The analysis for the cargo volume with hybrid discrete wavelet modeling. International Journal of Information Technology & Decision Making, 16(03), 851-863. Veenstra, A. W., ve Haralambides, H. E. (2001). Multivariate auto-regressive models for forecasting seaborne trade flows. Transportation Research Part E: Logistics and Transportation Review, 37(4), 311-319. Zhang, C., Huang, L., ve Zhao, Z. (2013). Research on combination forecast of port cargo throughput based on time series and causality analysis. Journal of Industrial Engineering and Management, 6(1 LISS 2012), 124–134.